There is a lot of buzz around Clinical Exercise and rightfully so - it can help keep the mind and body centered. Do you have pain in your heel or arch? It could be plantar fasciitis. Plantar fasciitis describes injury to the strong sling of connective tissue that lies under the medial arch of the foot. It presents as pain in the heel and/or arch. Tendinopathies are common in both athletes and people who are new to exercise. Luckily, Australian physios are at the forefront of both tendinopathy research and management. Vertigo is described as a sense of motion which makes the room feel as though it is spinning. 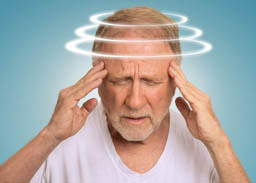 Vertigo is a symptom caused by many different conditions, but most commonly BPPV.